Earlier this year, Twitter updated its alternative Twitter client for the Mac. Twitter did get rid of their own official Twitter app last year for unknown reasons, but the TweetDeck app still existed on the Mac App Store but did not any sort of updates until this year.  I have been using the app over the last 2-3 weeks to manage Appleosophy’s own Twitter account. When I wrote for TeamApple News and balanced their Twitter account, I used Twitterrific, but then ran into some issues when it came to some features that only Twitter and TweetDeck have. The first thing that I like about this app is that it has a streaming timeline. This is a feature that Tweetbot and Twitterrific had, but was taken away in August 2018 after Twitter changed their API for third-party apps. What a streaming timeline is is that you don’t have to scroll up to refresh the timeline and that the app refreshes the timeline all by itself. It’s a great feature in TweetDeck and another reason that I like it so much. Another great feature in this app is that you can schedule tweets. Now, this probably does not apply to people like me who just post random tech-related things on Twitter, but if you run some form of business, scheduling tweets can be a godsend. I used it for Appleosophy on the day of our coverage for the March 2019 Apple Event. It truly does come in handy and is something that I use on a weekly basis. TweetDeck for Mac in 2019 does have a Dark Mode to it, so you will not have to worry about getting blinded by your Mac’s screen. This feature has been added to other Mac apps over the last couple of years, such as Tweetbot for Mac and Day One. My last favorite feature about this app is that you can post GIFs within the app. Since Twitter does have this on their website, it makes sense for them to have it on TweetDeck. It certainly helps us if we ever need to include a GIF in a tweet. Overall, if you are someone running a business or someone who plans to do a lot with their Twitter account, TweetDeck could be the best app for you. It is a free app in the Mac App Store, which gives us the perfect reason to now give it 4/4 stars!